Siding Class Action Lawsuits & Warranties - Omaha, NE. Abitibi (Abitibi-Price) siding is the subject of a class action suit. If the product fails to perform, the purchasers will be compensated for repairs or replacement of damaged product, including both labor and materials, subject to agreed upon exclusions and deductions. a. thickness swell in excess of 15% of the Defendants' maximum standard tolerance, that is, a total measure of 0.604" for Siding with a nominal thickness of one-half (1/2) inch and a total measure of 0.518" for Siding with a nominal thickness of 7/16 inch. b. edge checking, where a feeler gauge of 0.025" thickness and one-half inch width can be inserted one-half inch into a suspected delaminated edge with moderate hand pressure. c. fungal or other moisture induced degradation which results in soft board in which moderate thumb pressure deforms, indents or punches a hole in the board. d. buckling, warping or bowing of Siding in excess of ¼" between studs spaced not more than 16" inches on center and 5/8" between studs spaced more than 16" and not more than 24" on center. Waviness or apparent warping, buckling or bowing of Siding is not considered to constitute Damage if such is due to the Siding conforming to the curvature of misaligned framing. e. wax bleed, raised or popped fibers or fiber bundles, where the condition exists on more than 20% of the exposed board surface and, in the case of wax bleed, where the Siding in question was painted within two years of the date of the claim. "Wax Bleed" does not include paint discoloration. f. delaminated or cracked primer or primer peel, or peeling, blistering, flaking, chipping, cracking of other loss of adhesion of the original factory finish. g. separation of the Fusion FinishTM overlay from the substrate. Damage does not include (i) intentional, reckless or negligent physical damage to Siding (unrelated to installation or maintenance or weather) caused directly or indirectly by a Claimant or other Person; or (ii) conditions requiring routine painting, washing, caulking or similar maintenance; or (iii) damage to Siding to the extent resulting from natural disaster including but not limited to, fire, hurricane, flood, earthquake, earth movement, or other similar force majeure events. Homeowners, who believe they have damaged Abitibi/ABTco siding, or who have questions concerning the program details, are encouraged to contact the Abitibi/ABTco Customer Support Office at 800-549-4465. Customers can also visit the website at www.abtcoclaims.com. Certainteed Fiber Cement Siding (now owned by Allura) has reached a class action settlement. The settlement is intended to resolve disputes between the parties about the performance of the Siding. This proposed class action settlement covers the entire United States. CertainTeed will pay $103.9 million to settle the Class Action approved by the Court. Qualifying Damage to Siding means damage caused by a defect in the Siding that is manifested as shrinkage between the ends of Siding in excess of 3/16” except that for Siding installed abutting windows, doors or trim, shrinkage must exceed 5/16”. In addition, Siding with warping or bowing in excess of 1/2", field and edge cracking through the board, or delamination is also Qualifying Damage. Siding means CertainTeed WeatherBoards™ Fiber Cement Siding, Lap Siding, Vertical Siding, Shapes, Soffit, Porch Ceiling, and 7/16” Trim installed on or before September 30, 2013.  The class action lawsuit against Georgia-Pacific hardboard siding products is over. Georgia-Pacific had two brands involved in class action suits: Jarrett and Catawba siding. Jarrett siding that was manufactured at the Jarratt, Va, plant between 1979 and 1987. The Catawba Siding was lumped into the class action because it too is a hardboard siding. According to Georgia Pacific Representatives this siding did not have the defects found in Jarrett siding. The Catawba plant was closed December 2006. The deadline for filing a claim pursuant to the nationwide GP Catawba and Jarret hardboard siding class action settlement was January 2000. To find out if a property had been opted in for a future claim call 1-404-652-8371. Eligible claimants had until Jan 1, 2001, to file for compensation. If you suspect that your home has this siding and that it has failed, you still may be able to file a warranty claim by calling Georgia-Pacific at 404-652-8374.  The class action lawsuit against Louisiana-Pacific hardboard siding products is over. The class action was open to anybody with this siding on their homes that was installed prior to 1/1/96 and that siding is damaged or becomes damaged prior to 1/1/2003, and did not "opt out" during the "opt out" period. The siding is currently under its original 25-year warranty. If you have damage and need to file a warranty claim, call 1-877-677-6722 to get the warranty claim form. For help with Louisiana Pacific Siding installed after January 1, 1996, call 1-800-648-6893 for Customer Service.  The class action lawsuit against Masonite hardboard siding products is over. On January 15, 1998, the Circuit Court of Mobile County, Alabama, granted approval to a settlement reached by plaintiffs, the Masonite Corporation and International Paper that provides regionally adjusted replacement costs for damaged siding to class members who make a qualified claim. Masonite Corporation markets its siding products for a variety of external construction uses, including exterior siding for residential and other structures. This lawsuit does not concern Masonite® products used for interior, roof, wall substrate, plywood or deck sheathing, or for purposes other than exterior siding. The lawsuit also does not concern oriented-strand board (OSB) siding. 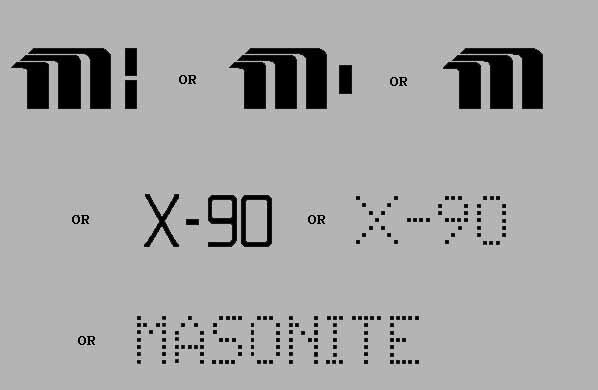 Masonite® siding is typically identified by a stamp of the name "Masonite" and/or the number "X-90" on the siding itself. You may also take a piece of your siding to your local building supply store, which may be able to assist you. As part of the claims process, you will be required to establish that you have Masonite® Hardboard Siding on your property. ALL BRANDING CHARACTERS ARE IN CAPITALS. ALL BRANDING CHARACTERS ARE ONE INCH IN HEIGHT. ALL BRANDING CHARACTERS ARE PRINTED WITH BLACK INK. ALL BRANDING IS PRINTED IN THE LENGTH DIRECTION OF PRODUCTS. ALL BRANDING IS PRINTED ONLY ONCE PER PIECE OF PRODUCT. BRANDING FROM COATING 6 (C-6) PANEL PRODUCTS IS ROUGHLY FOUR FOOT IN LENGTH. BRANDING FROM COATING 5 (C-5) LAP PRODUCTS IS ROUGHLY FOURTEEN FOOT IN LENGTH. To file a warranty claim on the remaining time of the 25-year warranty call the Masonite Limited Warranty Dept. at 1-800-323-4591. International Paper is the parent company handling warranty claims.  The class action lawsuit against Weyerhaeuser hardboard siding products is over. All Claims must have been filed by December 22, 2009. You can register to receive a Claim Form by returning the Claim Form registration card included with mailed Long Form Notice packets or you may register by phone at 1-800-365-0697. The Court approved the Settlement at a hearing on December 22, 2000. You do not need to register more than once. A Claim Form will be sent to you if you have registered to receive one. Weyerhaeuser brand hardboard siding is an exterior composite wood siding made from wood fiber mixed primarily with resin and wax and pressed under extreme pressure and heat into dense panels. 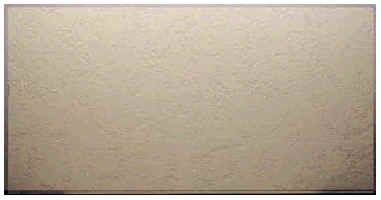 Using different plate designs, these panels can have different textures. The panels can then be cut into long horizontal lap siding, or into sheets to make panel siding. Most Weyerhaeuser hardboard siding is designed with a cedar wood-grain texture. Other textures include a stucco texture, smooth lap siding, a cedar shake texture or a cross-sawn wood texture. Since these textures are very realistic, it can be difficult to tell them apart from other kinds of siding. Weyerhaeuser brand lap siding: Weyerhaeuser brand hardboard lap siding was available in 16’ lengths. Each board is either 7/16" or 1/2" thick and was available in 6", 8", 9-1/2", 10-1/2", 12" or 16" widths. Lap siding is installed horizontally starting at the bottom of the wall with each successive lap course lapped over the course below it. Weyerhaeuser brand lap siding can have either a wood texture or a smooth surface texture. The bottom edges of the lap siding can be slightly rounded or (more commonly) cut on a 15-degree angle. Weyerhaeuser hardboard siding was available in a variety of textures. 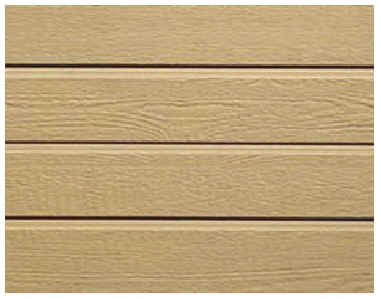 Some examples of common Weyerhaeuser hardboard siding textures are shown below. Look for repeating features of the texture, such as distinctive knots that are spaced 61" apart measured horizontally on lap siding and measured vertically on panel siding. Knots are approximately 1 ½" to 2" wide. Look for a "double knot" feature with two non-identical knots approximately 12 1/8" apart measured from the center of each knot. Remember, identical features are spaced 61" apart. If you can see the back of the siding, the non-painted back side is a light pine color and most siding carries a back-stamp that contains the marking "AHA 10" or "AHA 20". 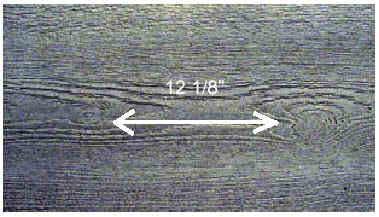 Cottage lap siding, a 16" wide "drop siding" has a concave horizontal groove or grooves with a distinctive continuous slight convex "bump" within the groove, as opposed to a purely concave "cove" groove. The horizontal machined grooves in Cottage lap "drop siding" give the appearance of two, three, or four laps on one individual 16" board. Standard horizontal lap has a 15-degree beveled drip edge. The factory primer coat is tan. All affected Weyerhaeuser siding products have reverted back to their original 25-year warranties. Call Weyerhaeuser at 253-924-2345, press 0 to speak to a company operator and ask for the warranty department to file a claim on the remaining time.